Lesro lounge furniture, guest seating, reception furniture, and other commercial seating products are available from Worthington Direct, the leading furniture source for making a great first impression. 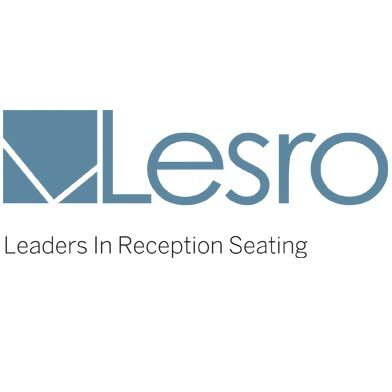 One of the foremost brands in office furniture, Lesro is well-known for well-made, environmentally friendly, and beautiful furniture. Its thoughtful creations are ergonomically designed to provide comfort and support for long hours of work. Putting the customer's comfort at the head of design ideas, the emphasizes on a pain-free sitting experience is ideal for healthcare and medical office waiting rooms. With comfort at budget prices, these seating lines allows for a professional atmosphere with living room comfort. Choose from a variety of styles as all of our Lesro furniture is designed to accommodate a wide range of office décor themes. With an air of sophistication, their semi-modern upholstery can accentuate anything from sleek professional, art deco, or vintage furnishings such as with their Mystic Lounge seating. Their easy-to-match upholstery colors can be placed as either focal conversation pieces or background comfort. You can find reception seating options with traditional wood frames, or sleek metal frames such as the Newport Series. Use Lesro table and chairs either for waiting-rooms, offices, lobbies, car dealerships or conference rooms. They work well arranged together in a living-room style layout, as office chairs with one for each desk, or as stand-alone pieces.